Automated vs manual testing has always been a topic of debate. However, the million dollar question is that which type of app testing is better? You should not forget that effective test planning plays a pivotal role in improving the quality of an app. Hence, the answer to this question is undoubtedly automated testing as it is capable of yielding great results. If you are still not sure, then in this blog post, we will help you in knowing why you should automate testing for your mobile app. Today’s savvy mobile app users demand an error-free app with regular updates and improvements. With the rapid increase in a wide range of mobile devices as well as platforms, manual testing your apps, as well as updates, is just not beneficial anymore. In addition, there’s a wide assortment of features that you need to account for with application testing. 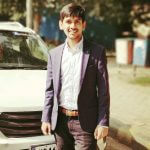 Thus, test automation for the mobile app has shown tremendous growth among numerous mobile app development companies, speeding up the working and giving better output. As a mobile app developer, it is important for you to make sure that the performance needs to be consistent across all device variants among users. In order to determine how well your app responds to various levels of usage, including battery usage and performance, there is a need to consider creating tests that last for hours. Considering social integration during the evaluation your app is a very important factor. This is because giving the facility to share something with friends is of utmost importance in mobile apps. 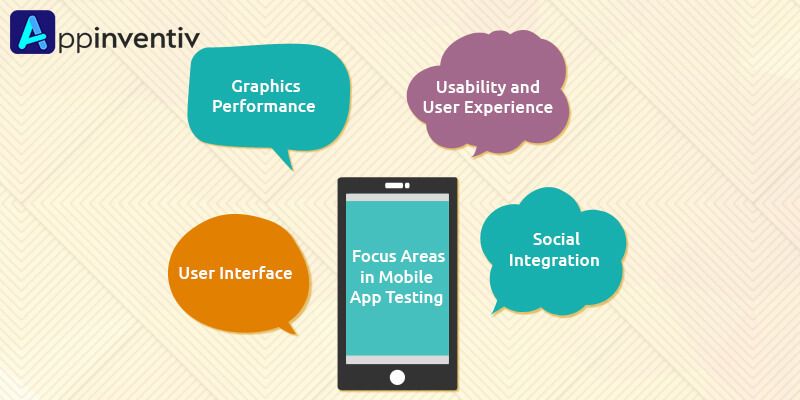 Why are Several Mobile App Development Companies Opting for Automated Mobile App Testing? If you want to go out for a very important task, which you can’t afford to ignore and at the same time you have to complete the particular test. There is no need to worry as with such type of app testing, you have the chance to schedule the test for the night and easily leave for your work. The next day, once you reach your office, you will get your test results ready. When you have your test scripts prepared, then they are saved for the future requirements. This means that you have the chance of utilizing them as many times as you want and without any problem. This is one of its biggest advantages which you cannot miss. There is no denying that manual testing can be error-prone as well as mundane. Thus, the testing becomes exasperating. Whereas, automated mobile app testing alleviates testers frustrations and paves the way for test execution without user interaction. This helps testers in feeling motivated and confident. As a result, concentrate on more much more difficult test scenarios. This kind of testing offers an amazing benefit of keeping a track of each and every test script. In other words, each and every test script can be easily seen in visual logs. With the help of the report, you have the chance of seeing the total number of test scripts executed and scheduled. You must be aware of the fact that with manual testing, testing thousands of lines of code is very difficult. However, this process can be simplified with automated testing. In addition, such testing makes sure that UI, services and databases etc. are working as per the requirements. There is no denying that a tester with years of experience can also commit mistakes when he or she has to prepare old boring manual test scripts again and again. However, when this is done with automated mobile app testing then results are 100% accurate and saves a great amount of time. Automated mobile app testing plays a vital role in saving time. There is nothing wrong in saying that testers find a lot of problems in writing long test scripts in order to perform testing especially at the time of regression testing. This is a time-consuming task and thus, the delivery of the mobile app crosses the deadline. Nothing is worse for a business than a delayed product delivery. 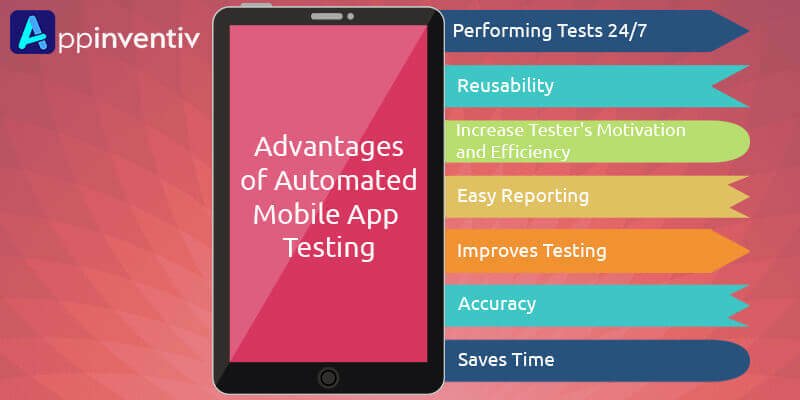 Automated mobile app testing is being widely preferred by a large number of mobile app development companies. The main reason behind this is that it helps in verifying and also in validating the functioning of mobile applications in a continuous integration workflow.